When most people think about taking a vacation to the Texas Hill Country, they immediately plan trips to famous towns like Fredericksburg, Luckenbach, Wimberley, and Gruene. And while these are all fun towns with lots of history and attractions, we recommend visiting a few hidden gems that fly just under the radar for tourists: namely, the city of Blanco. Sitting at the junction of the eastern border and the deeper settlements of the Hill Country, Blanco can be looked at as a bridge or entry point into both sections of the area. Beyond filling up for gas and just passing through, there is plenty to do for tourists in Blanco that merit a day trip or a weekend getaway. We’ll begin with the most stunning and dreamy event that Blanco has to offer: the Lavender Festival. Each summer, the city holds a special event when the countryside is enveloped in lavender (usually between May and July). On the grounds of the Blanco County Courthouse will be a market where select vendors and artists from the surrounding area will show off lavender goods for people to enjoy. 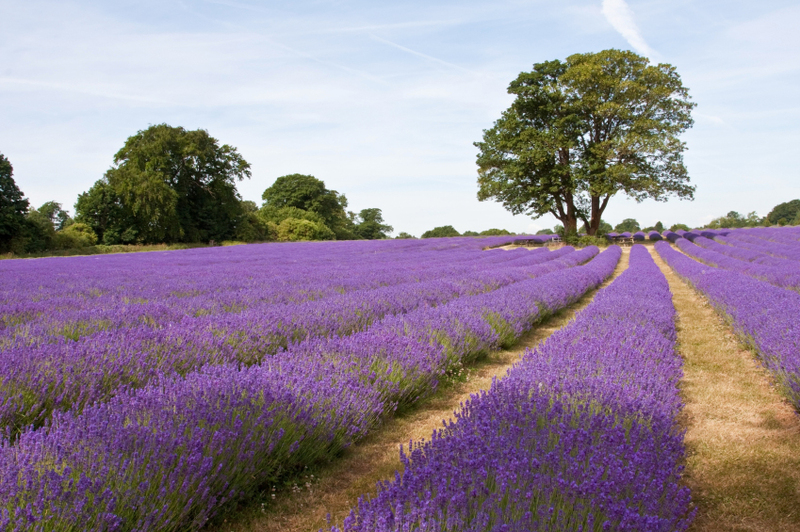 Speakers will give educational talks about lavender, and sessions will be available for those interested in the special properties of lavender, from cooking and baking to aromatherapy to landscaping. Take a tour around some of the farms, which will all have a unique program that may feature entertainment, education, and other activities. For more information on the festival and facts about lavender, please visit th e official website! If you’re going to make a weekend out of it, why not stay in comfort and style? Blanco has several adorable Bed & Breakfast options that will let you experience Hill Country hospitality to the fullest. In the morning, make your way to the porch to see the sun rising over the Blanco River and have a moment of peace. For options on places to stay, check out the tourism website! One of the iconic events that takes place in the Texas Hill Country is Market Days. The third Saturday of every month from March through November, the courthouse grounds will be taken over by local vendors selling homemade and handcrafted products for the masses. If you find yourself visiting in December, you must stop at the special Christmas Market that is held in December to get some last minute gifts for friends and family! We wouldn’t be doing Blanco justice without mentioning great places to dine in town! Redbud Cafe on the Square is a local favorite that provides fresh sandwiches, burgers, chicken salad, and much more. They also have excellent baked goods and loads of beer on tap. The Chess Club Cafe is a sweet little treasure of a lunch spot with the best meatloaf. Some customers said not to leave without a sticky bun, and that sounds just fine to us. If you are looking for some mighty-fine Bar-B-Q, you need to stop at Old 300. This traditional Texas spot smokes brisket, ribs, pork, and sausage served with a side of potato salad and beans that every BBQ lover knows well. There is no shortage of good food! Another quirky reason to love the Texas Hill Country is the German influence: particularly, nine pin bowling. This style of bowling only exists in Texas and is a fun activity for big groups. The Blanco Bowling Club keeps this traditional style alive with dedicated membership and is only one of eleven clubs that still operate with this game. The rules are a little bit different, but the fun is all the same. One tradition is that there is no automatic pin setting, but rather the club hires local youth to stand at the end and set the pins. The Blanco Bowling Club itself has been around since 1948 and had more than 200 members. Make this a must on your trip! Any Texas craft beer fan knows that Blanco is the proud home of Real Ale Brewing Co. Real Ale Brewing has grown exponentially over the past several years because of some of its year-round favorites like Fireman’s 4, Devil’s Backbone, Hans’ Pils, and Rio Blanco. A new addition to the year-round lineup is the Pinsetter Amber Lager, which pays homage to the Blanco Bowling Club mentioned above. Real Ale offers brewery tours where you can learn about the brewing process, distribution process, new flavor experiments, and more while tasting fresh beers in the tap room. There are plenty of events going on in the brewery, so check out the website for more information on when to go. Last but not least, Blanco State Park is ideal for those adventurous spirits who want to spend a weekend in the city going to Market Days and drinking Real Ale but want to retire at night to the wilderness of the Hill Country. On hot days, Blanco State Park is filled with tourists and locals alike jumping into the chilly waters to cool off the way God intended. Go fishing, camping, swimming, and bring your kayak or canoe and grab a camping spot. We’re willing to bet that a weekend in Blanco might not be enough time to enjoy everything the town has to offer.